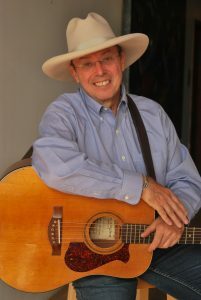 Charlie Maguire brings his unique historical perspective in song to Preston Public Library on Tuesday, October 18 from 7-8PM. Maguire writes and sings songs that tell the “unsung” stories of ordinary people doing extraordinary things that helped to shape our state and national history, culture, and destiny. A singer and songwriter in the tradition of Woody Guthrie, he performs on guitar, harmonica, jaw harp and spoons. He is founding performer on “A Prairie Home Companion”, “Centenial Troubadour” for Minnesota State Parks and Trails, a “Bush Fellow”, and recent recipient of the Minnesota “State Government Innovation Award”, for his work with Veterans in a program he co-created; “Operation Sight & Sound” OSS. Mr. Maguire has recorded six albums and has written for Minnesota Monthly, the Star Tribune (Minneapolis), and for National Public Radio.